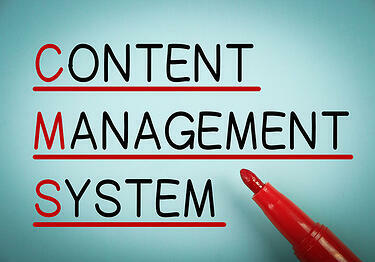 A content management system, or CMS, is defined by Wikipedia.org as a computer application that allows publishing, editing, modifying, organizing, deleting, and maintaining content and documents from a central interface. Content management software, when attached to a hospital Intranet, provides a means to manage workflow and internal communications regardless of location. Multiple staff, partners, and stakeholders may be connected to the Intranet simultaneously in order to collaborate and share news, updates, and policies and procedures. One great option for maintaining communication within your hospital is a Hospital Intranet System. An employee portal provides an out-of-the-box solution for your hospital’s communication and policy management needs. Hospital-specific solutions like HospitalPORTAL’s CMS were developed specifically for the healthcare industry. All healthcare features are pre-canned and focused on popular healthcare communication and policy management needs. The system is secure, private, easy to use, and allows communication between multiple clinics, facilities, and medical offices. Our support team has more than 15 years of experience handling healthcare information technology implementation, training, and custom development projects. We also have the ability to develop custom features or functionality as needed. We provide a dedicated team to assist you in your venture toward improving workflow and communication. We can lead you every step of the way and provide support when you need us. We currently assist more than 200 hospitals with more than 180,000 individual logins daily. Our products are affordable and suitable for any type of medical facility including small rural hospitals, large hospitals, critical care facilities, and other large medical networks. HospitalPORTAL is a hospital Intranet and policy management software company that makes it easy for your organization to communicate between staff, physicians, and board members. It allows you to keep track of all policies and maintain HIPPA, CMS and Joint Commission compliance with ease. Call us at 866-580-7700 to discuss our software and to see how well it will work with your hospital.